You know I love an island. 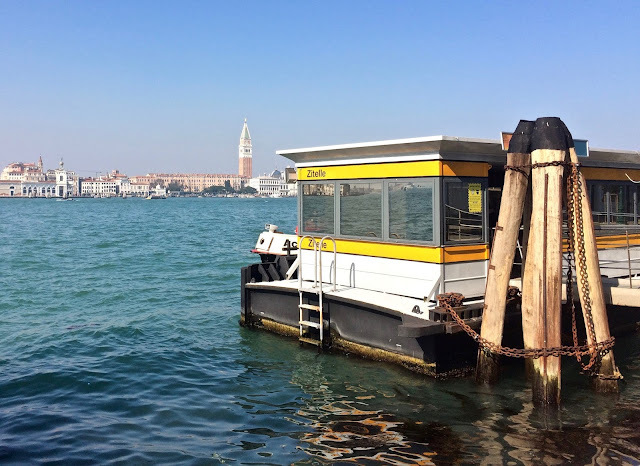 One of my favorite places in all of Venice is the tiny, sleepy Isola San Pietro, but on my most recent trip to Venice the place normally stay was booked for one of the nights of my trip so I sailed across the canal over to another sleepy, but not so tiny island. 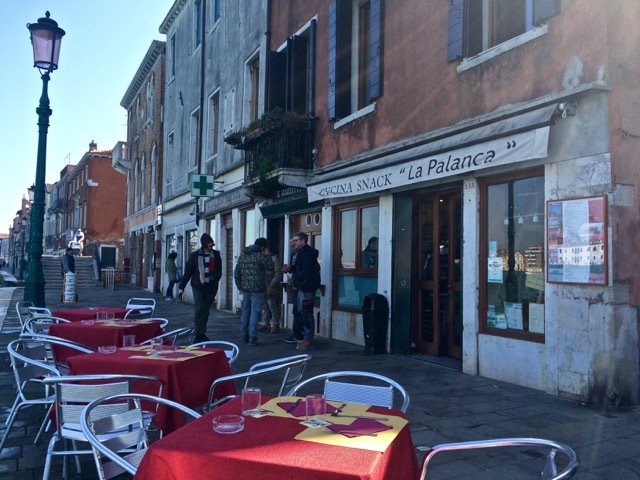 Directly across from Piazza San Marco the Giudecca, sometimes called Spina Longa owing to its fishbone-like shape, is the perfect spot to escape the crowds that unless you are visiting Venice in January, are inevitable. I booked a room at the trendy Generator Hostel, bought a 24 hour vaporetto pass and lived Venetian island life for a day. 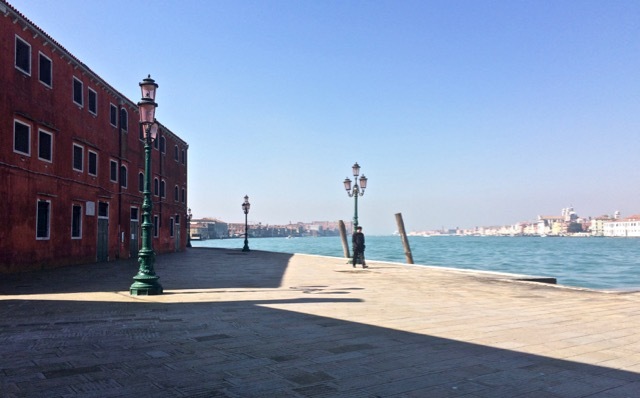 The pleasure of the Giudecca is it's quiet atmosphere. My best advice is to slow down and enjoy the pace and the peace. This friendly bar near the Palanga vaporetto stop is filled with locals grabbing a quick tramazzino and prosecco or plate of pasta for lunch. There are tables the edge of the canal where you have one of the best views of Venice. 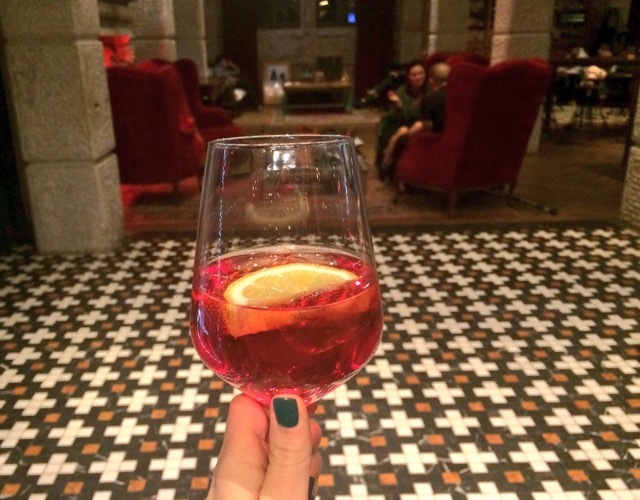 The bar at the Generator hostel has a relaxed vibe and a friendly bar. There is Happy Hour pricing until 8pm. The wide, flat streets make for easy strolling. Don't go looking for big sites, the main historic interest is the 15th century Redentore church constructed as a monument to the end of the Plague. Designed by Andrea Palladio and constructed by Antonio da Ponte. There are only 12 bridges, so there is much less up and down the steps than over in Venice. Along the front part of the island are old mill buildings that have been converted to luxury hotels and hostels and the Fortuny warehouse. When you head towards the other side of the island you will pass modern apartment blocks and small residential gardens. 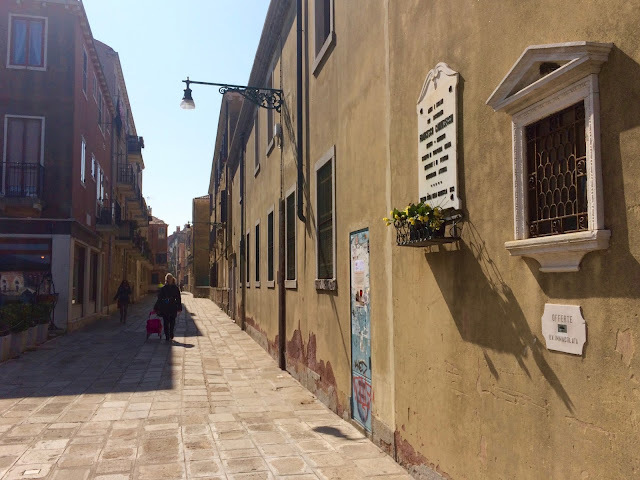 It is a different Venice that the narrow calle and grand palazzi on the other side of the Grand Canal. This Moorish style building along the canal is worth a visit for the architecture alone. 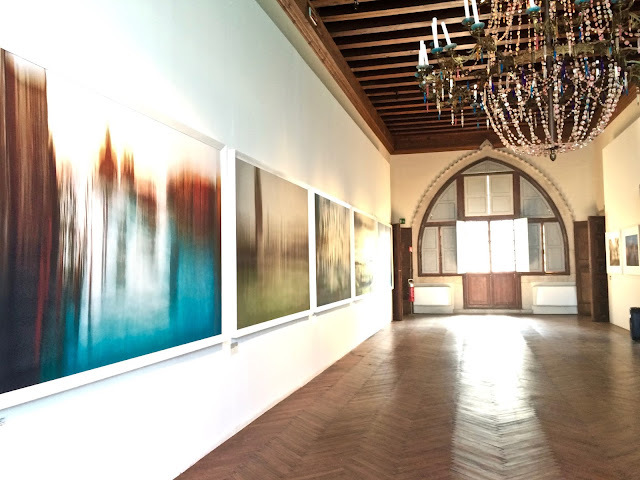 Herringbone wooden floors, Murano chandeliers, and windows with views over the canal and gardens. The Piano Nobile was an show by photographer Roberto Polillo whose images of Venice capture her watery, otherworldly energy. 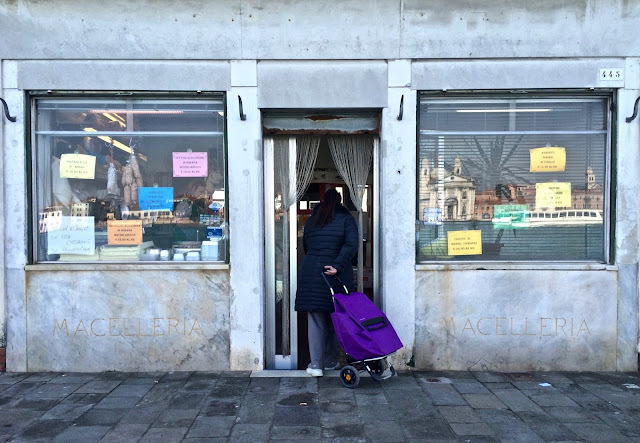 I didn't get to take a class, but I noticed flyers for Yoga Venezia all over and the idea of a yoga class on a Venetian island sounds kind of great. Now I am not a hostel kind of girl, but the Generator is a different sort of hostel. They have private rooms (with private bathrooms, I mean really that is a non negotiable, right?) My room had a large window with a view from Zattere to the Piazza San Marco. The lobby downstairs is cool and comfy, the wifi was good and the bar is excellent. It is not for someone who is super sensitive to noise, but value for money this spot is very hard to beat. 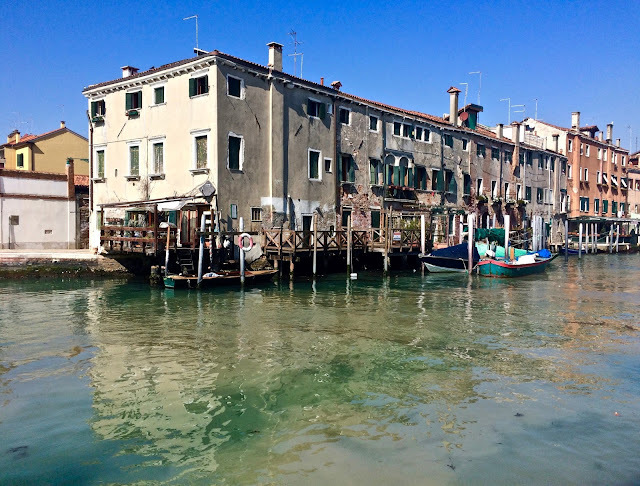 A bed and breakfast on a boat makes perfect sense in a place like Venice. 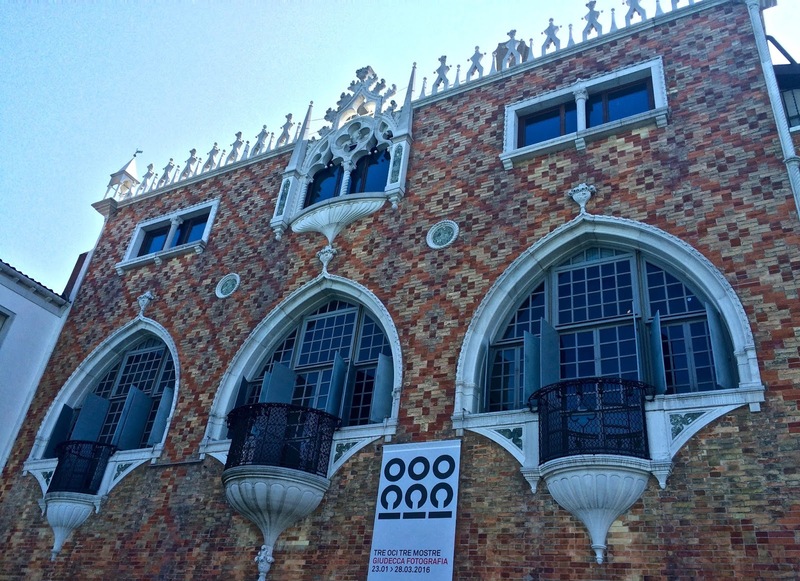 I spotted the Sarah on my morning walk and am planning a spring visit back to Venice just so I can sleep on the water and not just next to it. This Air B&B with it's luxurious garden looks like the perfect place for a late summer weekend with friends. Who's in? 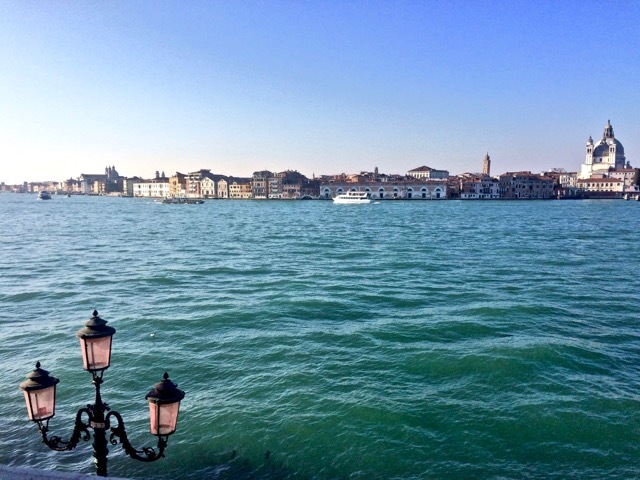 I seriously long to visit Venice like this. With no real itinerary except for a few spritzes and plenty of wandering. thanks for the great inspiration Gillian! It was such a luxury to be able to do this!